This is not the name of a movie my eldest son thinks I should see! It is a reference to getting the word out about the big three ingredients in Korean cooking. In my last post, I talked about the variations in soy sauce from the major cuisines in Asia: Chinese, Japanese and Korean. 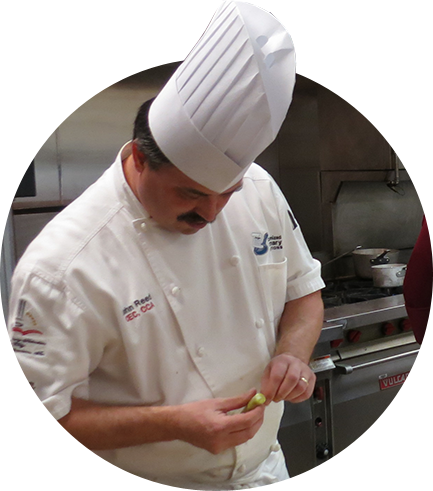 In diving deeper into the cuisines, I became focused on the core ingredients of Korean cooking. Pop quiz: Soy sauce in Korea is called what? That’s right, Ganjang. You would know if you read the RBDK. The three essential soy-based products and derivatives listed above are described as the Mother Sauces, or the “Holy Trinity” of the cuisine. Kind of sounds like what we learned in cooking school about classical French and Cajun. Understanding the differences between them and how they are related to each other helps you perfect your own Bulgogi, Banjans and Pajeon if you are adventurous. 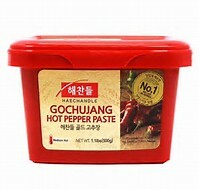 Gochujang: This spicy fermented pepper paste is made by mixing ground meju with red pepper flakes, sweet rice flour, barley and salted water. It is put into a fermentation pot and allowed to mellow in the Korean weather for 30 to 90 days. The amount of red pepper flakes (gochugaru) will dictate the intensity of the heat. The color is red, and the viscosity is thick and pasty. After trying a few spoonfuls, I am leaning toward something with ice cream. Think about it before you condemn. 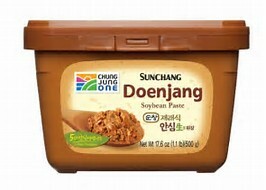 Doenjang: This is a brownish and coarse paste of fermented soy beans. A similar process is used as with gochujang, but the ground block is rehydrated with salted water and allowed to ferment outdoors for several months. The period for fermentation varies by producer, but there is an upside of this slow fermentation. As the meju is reconstituted, the salt water is transformed in to the third “jang.” Yes, it’s that name again: Ganjang. Back to doenjang for a minute. This paste is the backbone of Korean BBQ. Not bulgogi but Ssamjang, another lesser-known “jang” used as a table condiment. See below for a recipe. Ganjang: This traditionally Japanese sauce was a byproduct of soy bean fermentation, and the Koreans keep that process alive through the production of doenjang, from which comes the ganjang that is strained off after the doenjang is deemed ready. Look for the word Hansik on the label, as this refers to a traditional production method. In today’s kitchen, this traditional Korean soy sauce is split into two primary types used as a table condiment and a uniquely Korean variety for soups (guk). Beware, there are many other Korean or modern soy sauces (Gaeryang Ganjang) on the market, and they contain sweeteners and may have other starches such as rice or wheat and use industrial processes to manufacture. These three items are fundamental to Korean cooking and a staple in a pantry. If you can use these in some fashion, I recommend you start by visiting a Korean BBQ restaurant and ordering something different to know what you may like. Whisk together and put in an airtight container. It can be kept refrigerated for one month. Serve at room temperature. If you can find it, here is a traditional Korean pilsner: Hite Ice Point.